Redemption House, a residential program for women recovering from addiction, may double its capacity if a second Fort Wayne location is approved next week. The nonprofit organization works with the Allen County court system to provide an alternative to incarceration. 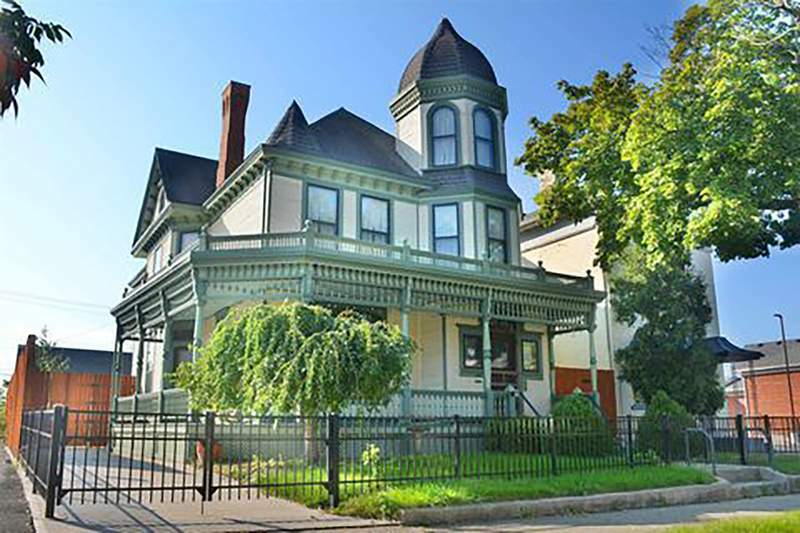 It is seeking a special use from the city's Board of Zoning Appeals for a three-story Victorian-era transitional living home at 426 E. Wayne St.
Redemption House's current location is at 2720 Fairfield Ave. Documents with the application filed with the Department of Planning Services say the new location would house 16 residents, the same number as the current residence. No new construction or exterior changes to the house or a three-car garage/storage building are contemplated for the new site, which is zoned downtown core. Downtown core zoning allows various mixed residential and commercial uses. Tomi Cardin, Redemption House's executive director, said local courts are “very happy” with the record of the program. But more beds are needed, in part to cope with the fallout from the opioid epidemic, she said. Cardin said women in the program are screened, not only by the courts but also by Redemption House staff. All are nonviolent offenders who have addiction as a component of their crimes, which can include charges not related to drugs, she said. Women are sentenced to six months of living at Redemption House and may opt for an additional six months, Cardin said. While in the program, women must work, she said. In addition to receiving addiction help, women receive training in financial, parenting and job-readiness skills, and they also can participate in formal education. Many actively seek reunification with their children while participating. Property records show the house has seven bedrooms and three baths. The property had been the site of Toast and Jam, a coffee bar/restaurant but has been vacant for some time. The new use “will put the existing historic home to productive use, while ensuring that it is properly maintained and preserved,” application documents state. Redemption House had sought a second location for about seven months before settling on the site, Cardin said. She said she hopes the new location will be ready to open by the end of next month. The public hearing on the application will be at 6 p.m. Dec. 13 in Room 35 of Citizens Square, 201 E. Berry St. Generally, votes are taken immediately after the hearing.